There are many built-in Apps on Apple iPhone, iPad and iPod touch. But several users don’t like to see some unused apps on their iOS devices. For example Apple Watch app icon, Stock market app icon both are worthless on screen for those users who are not interested stock trading business as well who haven’t Apple Watch. But according to company’s iOS structure, there are not any clues to delete defaults apps in iOS 11, iOS 10, iOS 9 and earlier edition. But if you’re really feeling encumber from apple Stock app icon on your iPhone or iPad. Then you can’t do delete stock app but you can hide that forever from iOS device home screen. So we’re keen to serve you this trick under one roof. So go at below outlined steps and learn how to hide Stock app icon on iPhone home screen in iOS devices? You haven’t needed to download and install any third-party app. In addition, you can do this trick very easily without jailbreak. First, of all, do unlock your iPhone Screen then get stared bottom outlined Steps carefully. Updated: Stock app is unused for you, we can remove from the home screen. Tap and Hold on Stock app icon until jiggle with a cross mark on the app icon. Tap on (X) and Delete on confirmation popup. Still not going from a home screen, Restart iPhone or Reset home screen layout. Re-download purchased app or deleted the app from app store. Open app store on iPhone > Search App with the name “Stocks” > Tap on Cloud icon for re-download and install the app on iPhone. Condition: extra folder iPhone screen must require full by the app icon which you can understand by the given video. Step 3. Now open up extra folder and then drag stock app icon and drop in an app on same iPhone screen. Step 4. In last step, open up Stock app icon folder and drag stock app and drop it bottom side of iPhone screen. 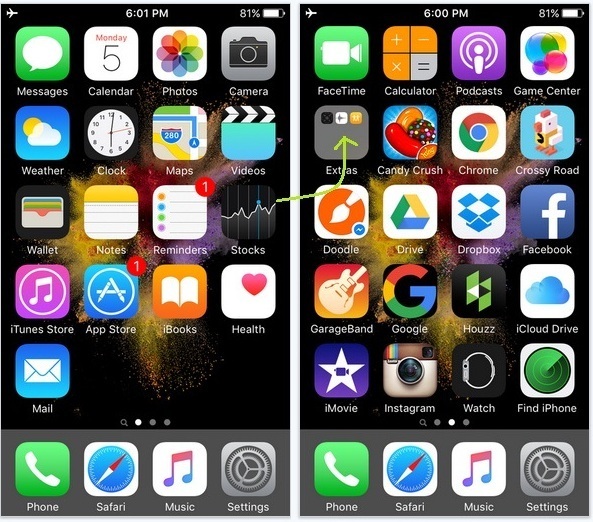 So your Stock app icon will become disappear on your iPhone home screen. 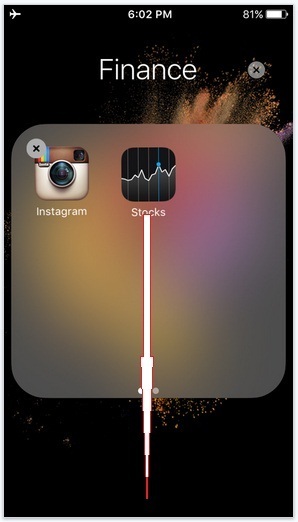 now while you want back stock app icon on your iPhone home screen, then just restart your iPhone. At all, now you can hide any installed or default apps on your iPhone by using same steps. Please having any trouble during the hide Stock app icon on iPhone home screen, then please refer given video which is made by us.